I love items that have a personalized touch. It makes them unique and more special. Like most mothers, I am also addicted to taking pictures of my adorable children! Photacular is a great online company that provides you the opportunity to combine ordinary products and your most important photographs to create unique and exceptional items. At Photacular , you can turn those precious memories into tee shirts, mugs, calendars, jewelry, ornaments, and so much more. Their website is easy to use and all products are custom-made and printed here in the U.S. They also offer a 90 day guarantee. If there is a problem with your product they guarantee to try to make it right. If they can’t fix the problem, they will give you your money back. Thanks to Darla, the founder of Photacular, I was able to explore and purchase an item from their site. With so many choices, it took me a long time to choose. I eventually settled on the premium tote bag with green straps. I was actually surprised when it came in the mail. For the price they are selling it for, I figured it would be a pretty flimsy tote bag. But instead, it lived up to its premium name. 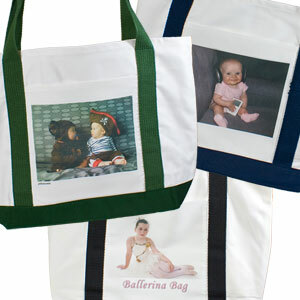 The tote is made out of very soft, but thick canvas material. We have been using it all summer for trips to the library, visits to the pool, and as an activity bag for long car trips. 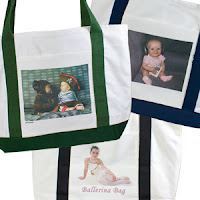 Even through all our abuse, the picture on the tote is still of the highest quality and without any scratches. I would definitely encourage everyone to go explore their site. With such a great variety of products, you are sure to find something you like. The generous people from Photacular have graciously donated a Photo Keepsake Box, up to a $49.95, for our Relay For Life Online Silent Auction. Please join us from May 20th - May 26th to support Relay For Life. There will be great items and all proceeds go directly to Relay For Life! Oh, I am so happy that we have the photos that we do, throughout the years! The Photo Keepsake Box looks great! Hm...it would be hard to decide what photo to use. Heading over to take a peek at some of their other products. Sweet! I can't wait for the auction! Their stuff looks awesome!